The Associated Students (AS) allocated a $7.5 million budget to fund school services and extracurricular activities on and off campus last spring, a budget that was approved during the Associated Students’ annual allocation process that allows the proper funding for each department. The 2018-19 AS budget is the fifth largest in the California State University System, funding things like student services, clubs and Associated Students operations from a $96 annual fee collected from each student. The total budget breakdown is as follows: $1.18 million for Clubs and Organizations (this includes everything from Accounting Association down to the Zeta Phi Beta Sorority), $1.2 million for University Programs like scholarships, $2.6 million for AS Programs and Services, $492,066 for AS Government, $2 million for AS Support Services and finally $51,304 as an unassigned contingency. That $2.6 million figure for Programs and Services goes to things like the Farmers Market, the annual Big Show on campus, the AS Student Legal Clinic and other services like the on campus Children’s Center, a sort of day care for parents attending CSUN, a program that on its own commands $902,800. University Programs, comprising 16 percent of the budget, supplies $1.2 million for extracurricular activities and scholarship awards. Half of the balance is given to the Instructionally Related Activities account, providing students an opportunity to apply their studies in a real-world environment. Debate competitions and drama performances, both academic functions overseen by school faculty, are just two of the events funded from the University Programs allocation. Keven Acevedo, AS Chair of Finance, says that this University Programs budget is of great benefit to students looking for hands-on experience that might not otherwise be able to afford such opportunities. “Because CSUN has relatively low-income students, it helps them a lot to have hands-on experiences in the field that they are going to go in,” Acevedo said. Finally, that Unassigned Contingency budget, holding the comparatively small total of $51,304, serves as another reserve account for students who would like to fund their clubs and organizations. Every department can apply for supplemental funding, which is drawn from this reserve and is only funded from last year’s budget surplus, an amount known before the annual budget hearing. 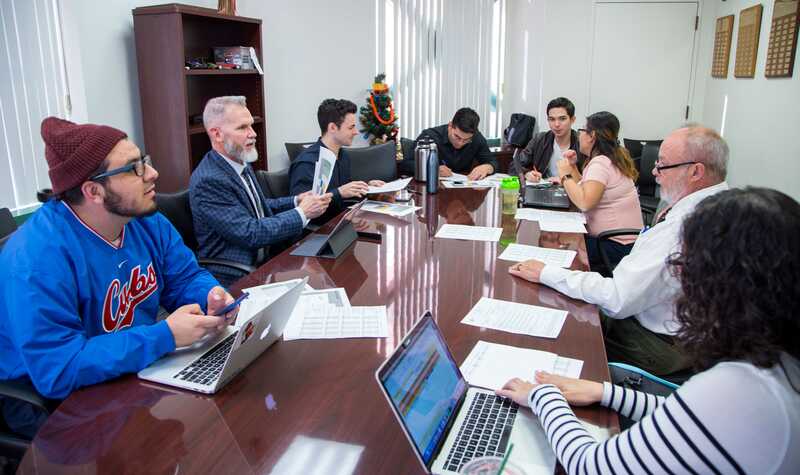 “The unassigned contingency account should be used more than it is, but the students who do come are happy that they get to receive funding,” said Acevedo. AS Government itself, that is the AS President and her cabinet officials, committees and the senate, is allocated around half of a million dollars annually to operate, $492,066. Most of those funds are spent on student compensation. The rest is spent on logistical expenses such as supplies and booking rooms for hearings. Government leadership convenes every fall to allocate funds for six major departments, constructing several potential budgets; the final is chosen in December. Then, the bill will be sent to CSUN president, Dianne F. Harrison, for final approval. Editor’s Note 1/31/2019: This article was rewritten to present an accurate description of the AS budget.